Woodthorpe Hall Leisure Park is ideally situated, nestled between the rolling hills of the Lincolnshire Wolds and the wide open spaces of the marshes leading down to the sea. 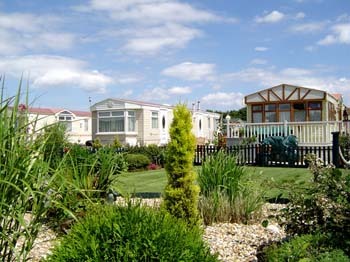 The Park is close to the seaside resorts of Skegness, Sutton on Sea and Mablethorpe. You can also enjoy the traditional Market towns of Alford, Horncastle, Spilsby and Louth. There are Nature Reserves close by at Gibraltar Point, Theddlethorpe Dunes and Snipe Dales. Venture further afield and the historic city of Lincoln with its 1200 year old cathedral and castle is only 40 minutes drive from the Park while the working Windmills at Alford and Burgh-le-Marsh and the working watermill at Alvingham are all within easy reach. At the heart of the park is a 17th century house set in 500 acres of beautiful countryside, having taken its name from the remarkable 1,000 year old oak tree situated in the grounds of the hall and mentioned in the Doomsday Book. The Stubbs family, whilst still farming the majority of the land, have over the years, developed a Leisure Park that will ensure your holiday is one to remember. 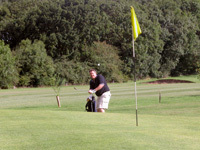 Quiet country walks, fishing at one of our two well-stocked lakes, or a relaxing meal and drink at Woodys can be contrasted with a more energetic game of golf on our 18 hole golf course. The Leisure Park consists of mainly occupied static vans and we have about twenty static vans for letting along with plenty of room for tourers, motor homes and family tents. The park is fully equipped with electricity hook-up's, shower, water, waste and chemical waste facilities. Car parking is adjacent to your caravan or tent, there is a shop, and full disabled access. The park is in a quiet, secure location with groups and rallies also catered for. Don't forget to visit Woodys Bar and Restaurant where you can relax and a meal and drink can be enjoyed. 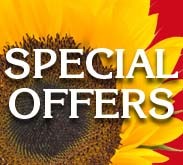 Touring Caravans, Family Camping, Holiday Cottages to Let, Holiday Caravans to Let, Holiday Caravan Sales. Wireless broadband is available for all guests on the Caravan Park.